McP’s Tap House Grill is South Lake Tahoe’s hip bar with live music 365 nights a year. 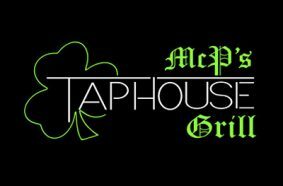 McP’s Tap House Grill live entertainment features local musicians offering a great variety of Jazz, Blues, Rock and alternative music groups. Enjoy their covered outdoor heated deck with great views of Heavenly mountain – deck is open year-round for those sunny winter days. Go for the food and the live entertainment and just plain fun!